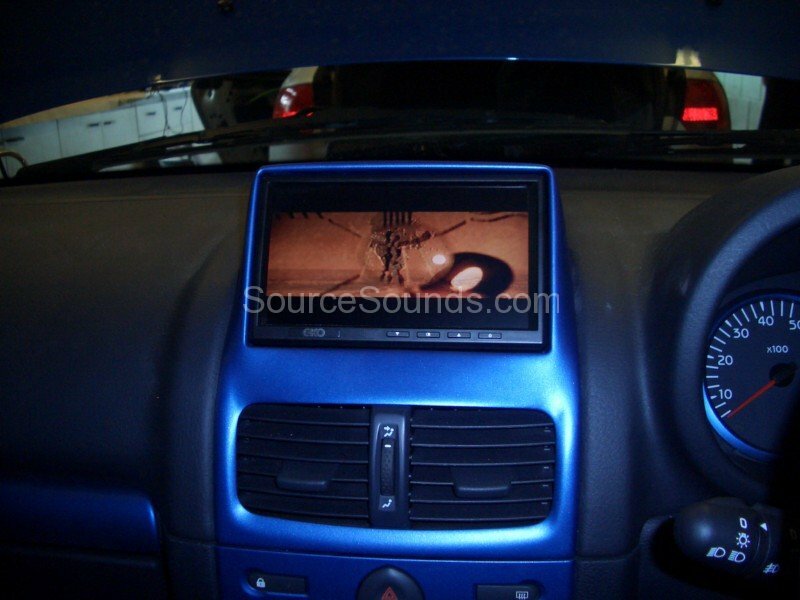 There are 2 types of screen which you can replace the original stereo with in your vehicle, classed as Single DIN and Double DIN. Most vehicles will have a single din apperture for the stereo but some vehicles (mainly newer ones) will allow you to fit the larger double din screen into the dashboard. Depending on which system you choose, they can support lots of different media, such as CD and DVD, Mp3 and iPod, Navigation, Bluetooth or even Digital TV and Games Consoles. As well as this, most of the screens will have the facility to add on a rear view camera and have a video output to link to any other screens in the vehicle. 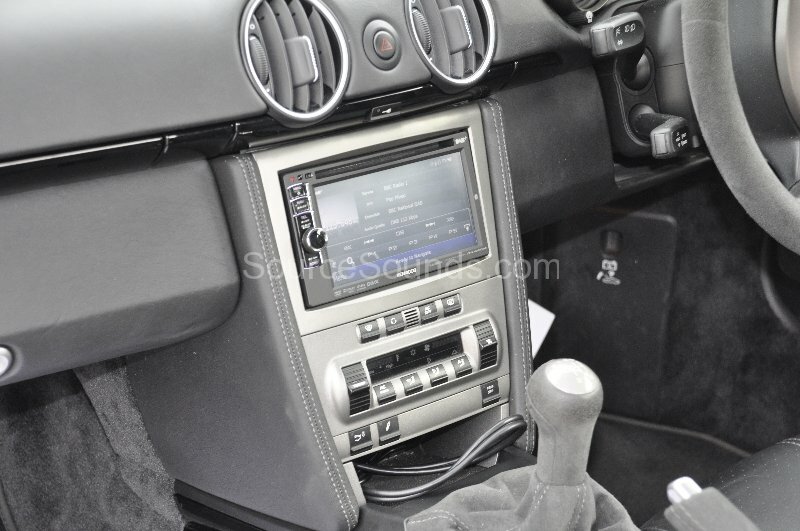 The majority of single din screens motorise in and out of the dashboard and once folded away they look like a normal stereo, some of them even have a small panel that can be removed for security. The screen quality varies between models depending on your budget and because you are changing your existing radio you will notice a difference in sound quality too. This screen can then be the basis of a very good audio / visual system. Although it is fitted into the car it can be removed and refitted if you change vehicles. 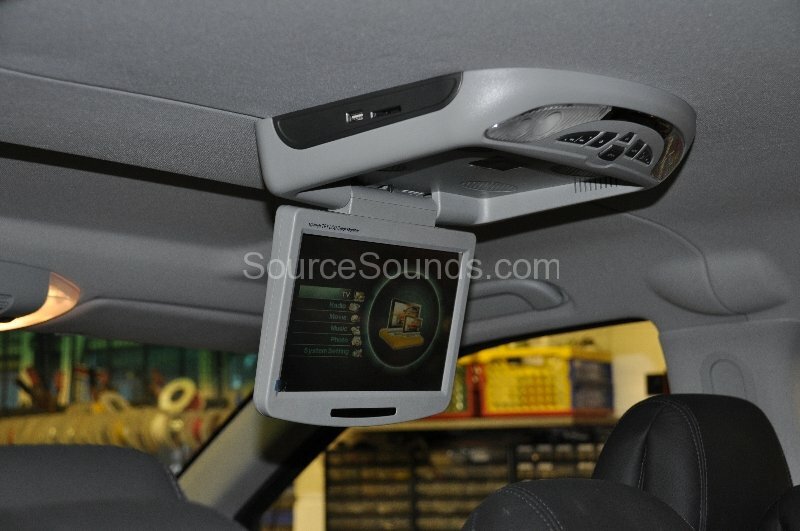 This type of screen will only fit in vehicles that have a double sized radio housing, but will give exactly the same options as a single din screen will. Generally speaking they don’t have removable panels but look more like a factory screen so they blend into the vehicle dashboard easily. 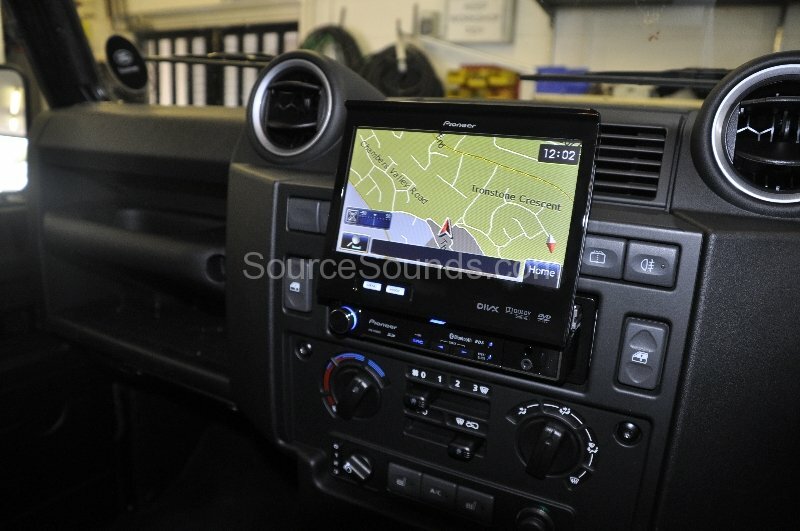 Click here to view images of vehicles we have fitted screens to. One of the cheapest options for rear screen entertainment. There are various sizes of screens available, ranging from 7” to an amazing 17” screen and they can either come as a straight forward monitor with a seperate DVD player or as a built in DVD system. Ideal for any vehicle and great no matter how many passengers watch it and from a safety aspect they can be folded up when not in use so tucked away from prying eyes. If you end up using a separate DVD player they can be fitted into many storage spaces or under seats wherever is physically possible as they are operated by using a remote control so you don’t need access to them only to change a disc or game. Sound can be heard by using wireless headphones, which is great if the driver doesn’t want to be distracted, or if requested can be put through the car speakers. The factory look choice, a great asset to any vehicle. With various screen sizes available depending on the size of your headrest we trim the screens in so they look and feel like they’ve been done at the factory. If the original headrest can’t be trimmed into, or they are too small to take a screen, we also have an option of universal headrests with built in screens that replace the factory headrests. With a choice of colour this is an ideal option if you don’t keep your cars for very long as they can be easily transferred. 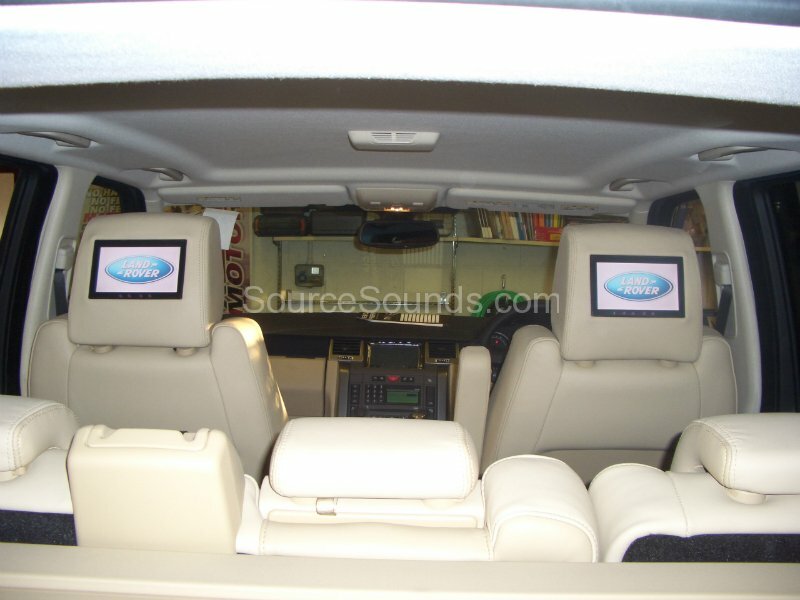 One major benefit of headrest screens over a roof screen is the fact there is TWO screens, so if there are two different video sources installed in the vehicle, each headrest can display a different picture with the sound coming from a set of dual channel wireless headphones. We specialise in custom fabrication and love to have a challenge. We have fitted screens almost everywhere: sunvisors, in the dash, door panels, boot lids, in boot installs, rear consoles and even passenger airbag pockets (when there is no airbag fitted). We’ll fit a screen almost anywhere as long as it’s humanly possible and doesn’t affect the safe driving of the vehicle. Whether it’s for show purposes or your own personal use we can custom build a screen into anywhere to suit your needs and vehicle. As every car is different it is difficult to give a price. The best thing to do is to come along to Source with your car and we can go through the options and work alongside you to make sure you get what you want. Prices do vary on screens because of size and quality so there is always a screen to suit every budget. 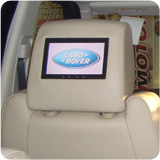 Click here to view images of vehicles we have fitted headrest and roof screens to.